“A large part of mind control is the pleasure principle. They get people to think that the entire purpose for being is to have as much fun as you can, as humanly possible, while you are alive and ignoring all the suffering that is taking place in the world around you while you are doing that. This is a pretty bad place to be. This is like someone who watches a crime being committed in front of them and does absolutely nothing. 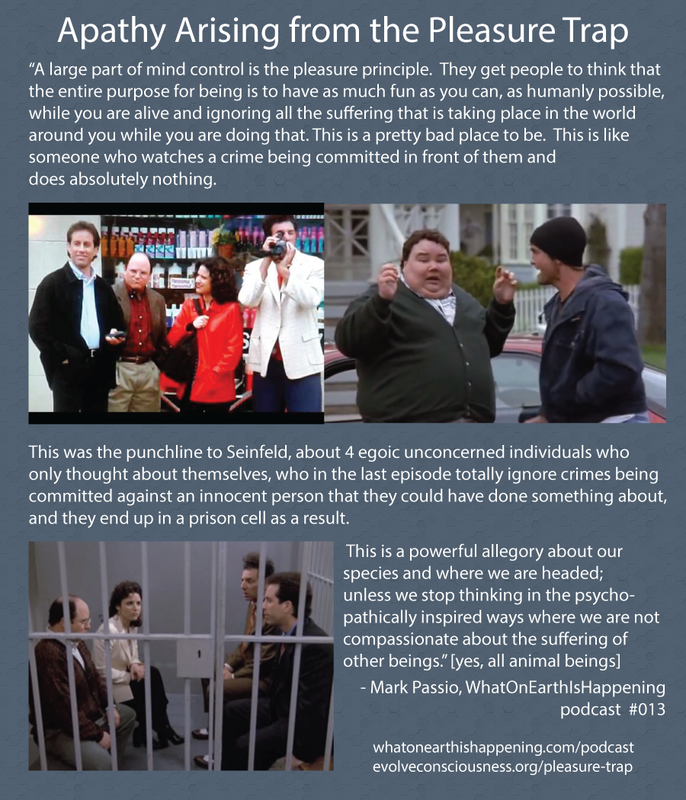 This was the punchline to Seinfeld, about 4 egoic unconcerned individuals who only thought about themselves, who in the last episode totally ignore crimes being committed against an innocent person that they could have done something about, and they end up in a prison cell as a result.